Stove Popped is my personal preference. Here is the popcorn before we coat it with delicious sugar! Preheat the oven to 250°F. That's not a typo, this requires a low temperature. Pop the popcorn. Either method (microwave, stove, or air) is fine but make sure you don't have any kernels mixed in with the final product. 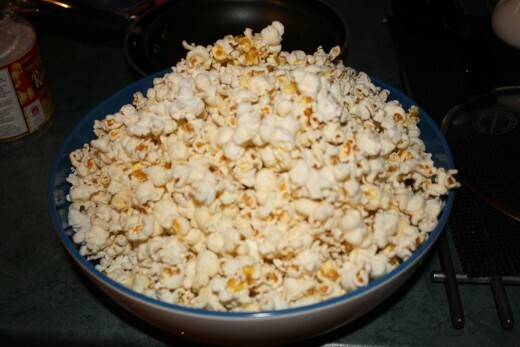 After popping put the popped corn into a separate bowl and leave out the leftover kernels. 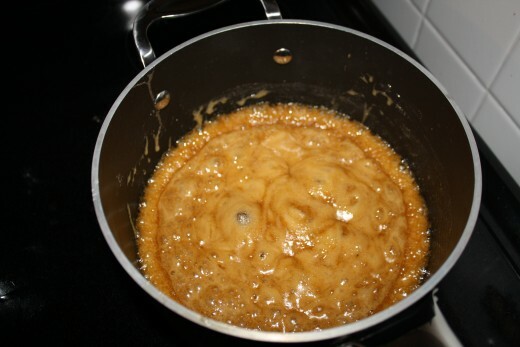 Melt the margarine, sugar, and syrup in a medium sized pot on the stove over medium heat. Bring to a boil. 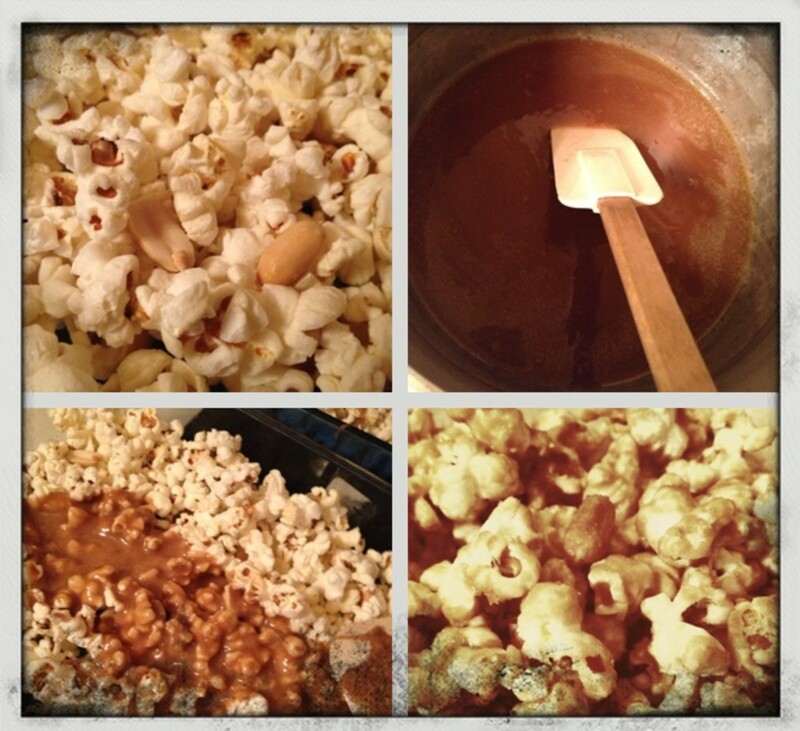 This is roughly how the caramel should look just before mixing with the popcorn. 4. 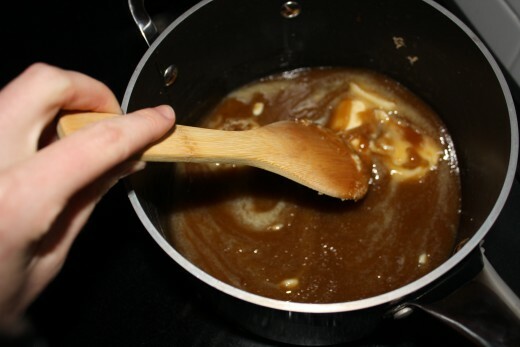 Boil the mixture without stirring for about five minutes, and remove from heat. 5. Add the vanilla and baking soda. The mixture should start to look frothy and smell like heaven. Don't be tempted to sample it though, it's extremely hot. 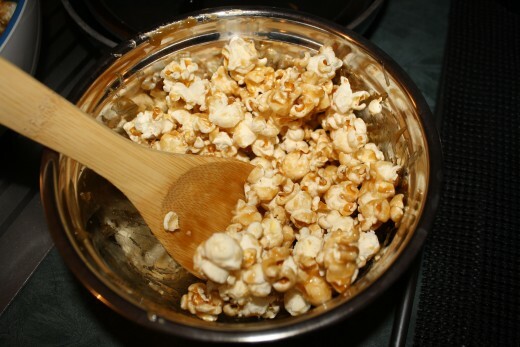 Coating the popcorn with caramel sauce. 6. You'll likely have too much popcorn to stir it all up at once, so do it in sections. 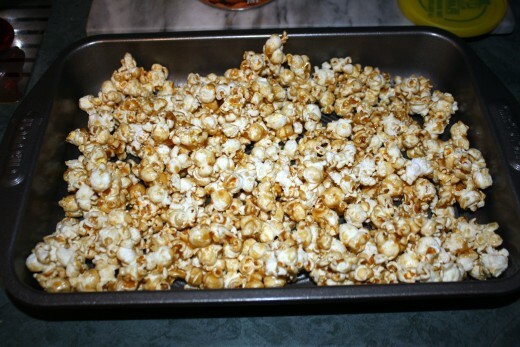 A bit of the popcorn with some sauce, mix it up (like rice krispie squares) and dump into the baking pan. Then repeat until it's all coated.You'll probably feel like you don't have enough sauce, but trust me, it WILL work! 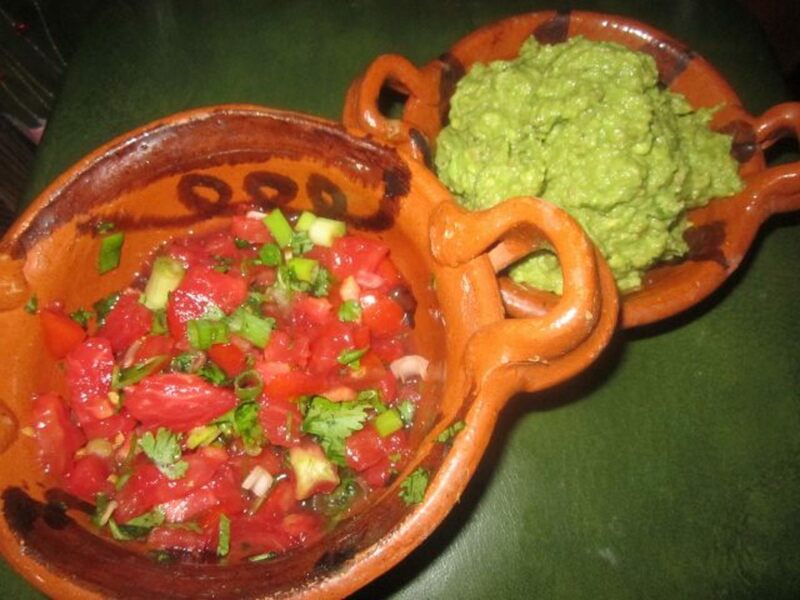 Just be moderate with the sauce and you'll have plenty to go around. 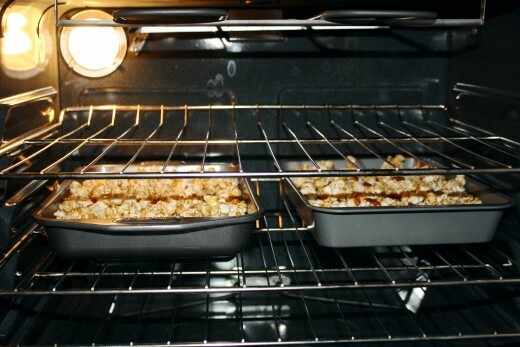 Popcorn baking in the oven. 7. When all the popcorn is deliciously coated and in the baking pan(s), put them in the oven and bake at 250°F for about an hour, stirring every 10-15 minutes. 8. The longer you bake the popcorn, the lighter and crispier it gets. Sample some each time you stir it, and remove when you feel it's done. What if I didn't want this to be crunchy? 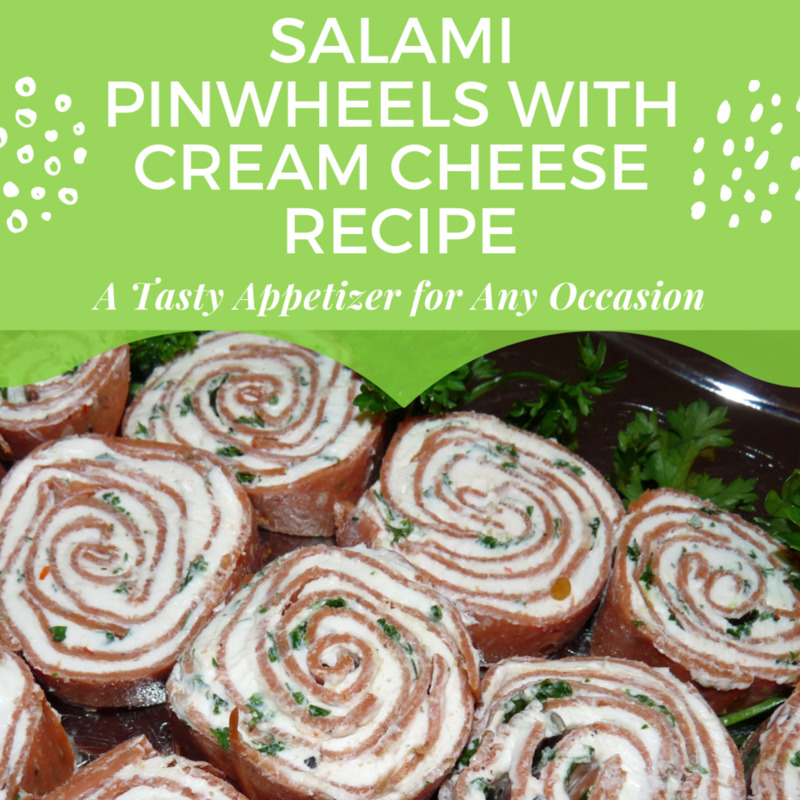 I just wanted it to be warm but not crunchy.. Would I just skip the oven part of the recipe? 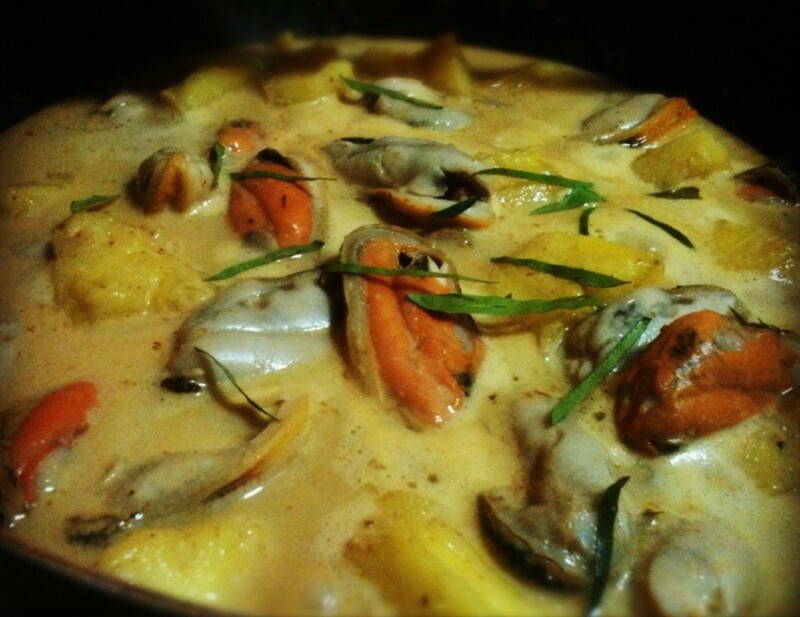 Yummy receipe.. its our fab snack..Am gonna try it this week end.. I tried the recipe... LOVED it! very very very very easy and a very cheap way of giving some holiday gifts out to friends... awesome! My house smells of sweet yummy deliciousness! 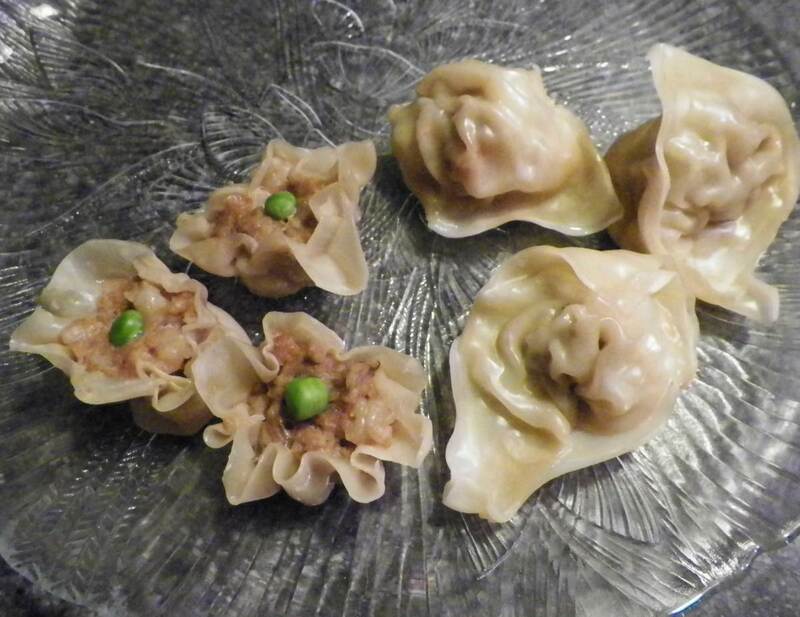 I am making some more for tailgating in a week... my friends there are giong to love it! wow this is very great!!! It's really very easy too, just a bit time consuming. Wow that looks good. I am following a strict diet, but sometimes you have to cheat for piece of mind. Don't mind if I try this one. OH yummy. Great hub and I am always looking for a good recipe. Looks delicious but my teeth ache thinking about it. Sorry, this recipe is one I dare not try -- I am a complete sugar junkie and abstinence is the only possibility. As always - well done.